Search for the term “resume lies” on the Internet and you’ll find studies saying that between a third to over half of resumes include misrepresentations of some kind. Worst of all, it seems that many employers expect candidates to not be telling the whole truth; many invest time and money gathering information from references and researching candidates on social media. This means that there’s a high chance of being caught in a resume lie, big or small, and that employers are not very forgiving of these lies. My experience working with job seekers has shown me that people don’t necessarily misrepresent themselves out of greed, laziness or a lack of morality. I have met many job seekers who have been struggling to find work over a long period of time, and have become worn down, fearful and desperate to do whatever it takes to get back in the workplace. They’ve often tried unsuccessfully to be totally honest. Is it worthwhile to lie on a resume? Probably not. Putting aside all moral claims about lying for a moment — it’s not even practical to do so. More than ever, employers have access to a number of tools to help them verify the validity of a resume. These include thorough reference checking, surveying social media (LinkedIn, Facebook, Twitter), criminal and other background checks (e.g. checking membership in professional association, verifying accreditation with licensing bodies, utilizing services such as HireRight). 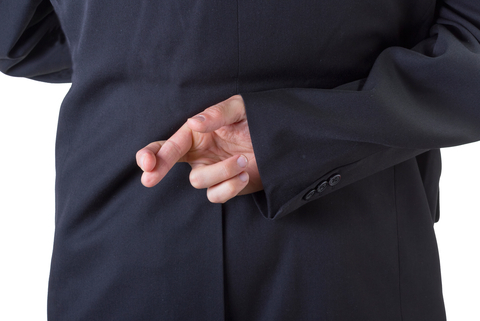 The result of being caught in a lie can be dire, with candidates taking the risk of developing a reputation of dishonesty that might affect future positions with other employers. So, what is the best way to overcome resume problems without lying? The best way to overcome resume challenges is tackle each one directly. For example, the impact of a gap in recent work history can be reduced by doing volunteer work or taking a course. Specific skills and experience can also be gained through volunteer work. Finally, probably the most effective way to deal with problems on a resume is to make sure that the employer hears about you, or — even better — meets you before reading your resume. That way, you can make the first impression and explain your background, rather than that two-page piece of paper that is your resume.